The gold group’s chairman has axed the CEO and handed the reins to two co-presidents. It’s similar to how Goldman Sachs operated when he was there. It also echoes Citi chair Mike O’Neill’s power play in ousting Vikram Pandit. Barrick needs a refresh, but the strategy has risks. 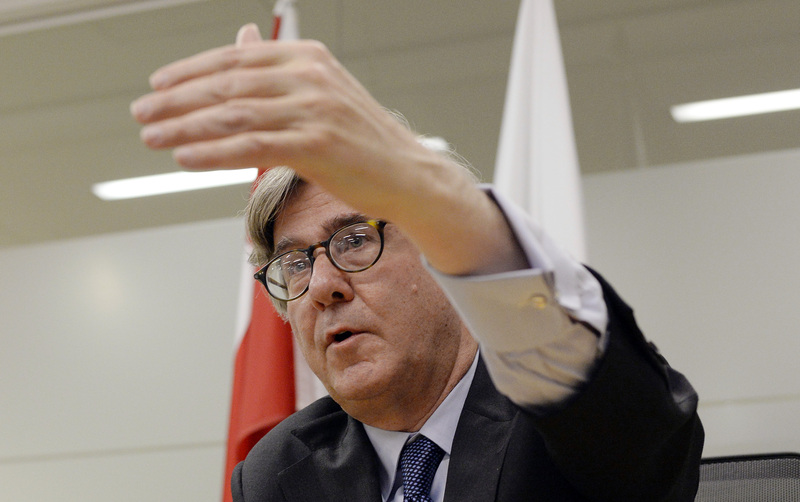 Barrick Gold said on July 16 that its chief executive, Jamie Sokalsky, is leaving. No new CEO has been appointed. Instead, Sokalsky’s duties will be split between two executives who have been promoted to co-presidents. Sokalsky was appointed CEO in June 2012. Kelvin Dushnisky, Barrick’s head of government affairs, and Jim Gowans, chief operating officer, will fill the newly created positions at the world’s biggest gold miner, reporting to Barrick’s board. John Thornton, the former co-president of Goldman Sachs, became sole chairman of Barrick following the retirement of founder and longtime chairman Peter Munk on April 30. Barrick’s shares closed up 3 percent on the news.